Realize the value of your data rapidly. Together with Microsoft, Valorem Reply brings business visionaries together with visual storytellers an data experts with the goal of binging data to life. After all, data is only as good as user adoption. The attached report is an output of an engagement with a client who uses a SaaS application to manage financial data for their customers; for confidentially reasons all data has been obfuscated. 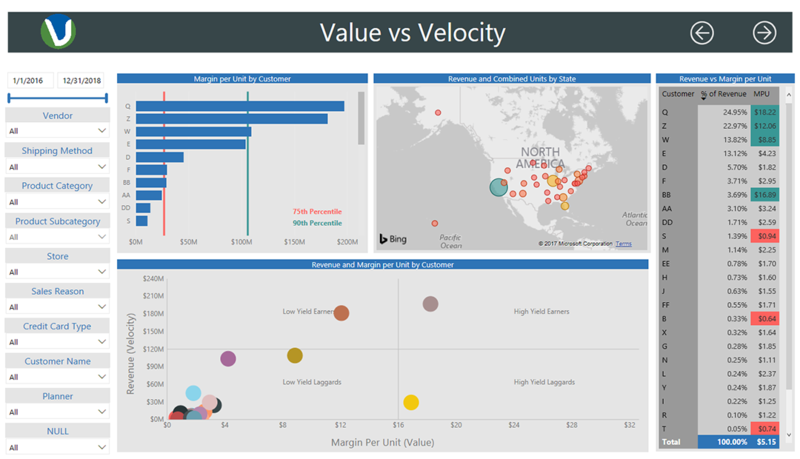 As part of this we identified three core business reporting needs: YTD scorecard, time series trending, and value vs velocity comparison. 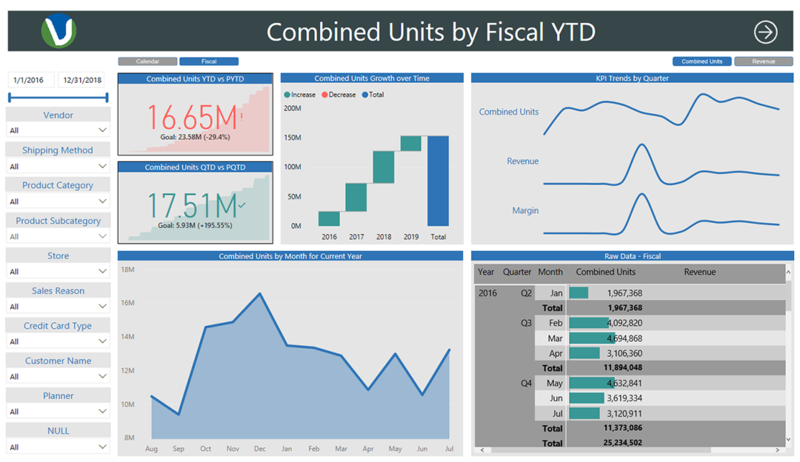 They also needed the ability to have a dynamic date dimension to support various client fiscal calendars, so we included an additional view focused on Fiscal Time Series to allow for that flexibility. 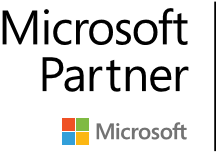 Valorem Reply is a field managed Microsoft partner committed to Digital Transformation with capabilities spanning broad and deep across Digital Insights, User Experience, Cloud Platforms, and Immersive Technology. We believe that User Experience is a “must have” for any business intelligence or self-service analytics journey, which is why we like to begin every engagement with a User Centered Design (UCD) engagement. Our workshops are short sessions focused on understanding people and process requirements through the eyes of the business user before ever touching technology. Our UI/UX team will work with your key stakeholders to define personas within your organization, resulting in data visualization views appropriately built based on user behavior, psychology, and design best practices. 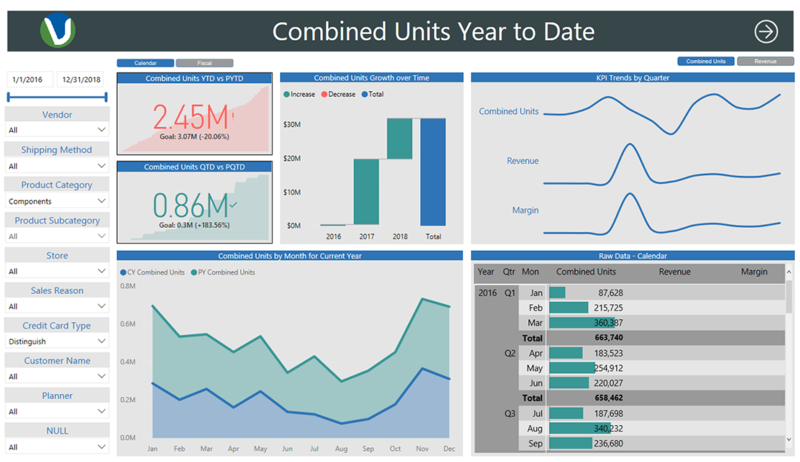 Take our above approach, sprinkle in some of the latest features of Power BI, and we believe you’ll have a recipe resulting in compelling visualizations and increased user adoption. This report also includes information about how we can bring a User Centered Design workshop to your organization. 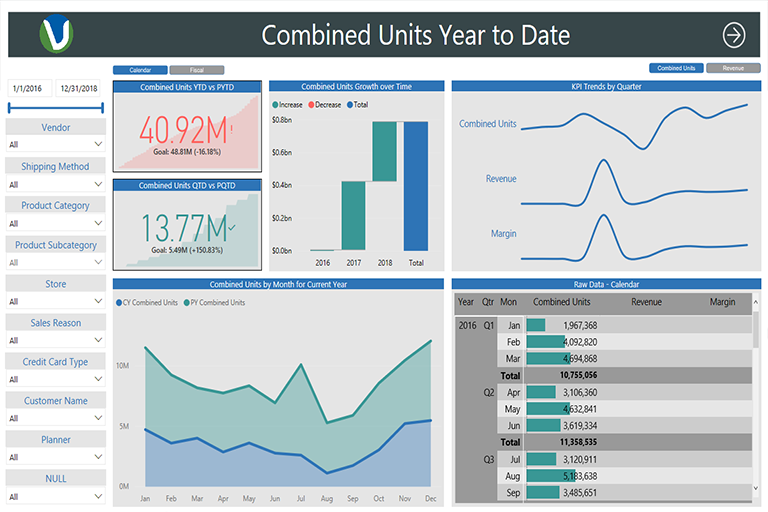 We’re confident that after following our approach you’ll never again refer to data visualization as reporting. We would love to have the opportunity to prove it to you.